This Sunday, we are celebrating Pastor Michael McKellar's 10-year anniversary with Oasis Naples Church. Come join for a great worship service with friends and family. Easter is a time of reflection, renewal, and celebration. It’s a time when we stop to appreciate the beauty of a new season and celebrate the potential of a fresh start. Easter is all about looking ahead to the life God has in store for us because of what He did in the past for us. Join us this Easter weekend for a community-wide celebration at Oasis Naples Church as Pastor Michael McKellar reminds us of the ultimate sacrifice and points us to the ultimate life! We as a Movement family are calling a 21-day fast to start out the new year. Starting January 7 through January 27, we invite you to give up certain foods, or other comforts as God leads you, in order to seek Him more fully and prepare our hearts and our church for the coming year. We believe God has big things in store for us in 2015 and we want to be ready. In fasting we are not trying to get something from God, but seeking to realign our hearts’ affections with His. In fasting we can more readily say, “We love you, Lord, more than anything in the world.” It takes us deeper – in our understanding of who God is, in our desire to know Him, in our love for Jesus and others, in our ability to hear His voice and follow His commands. That is The Movement’s goal for 2015 – to go deeper – and we would love for you to join us in that pursuit. + The Daniel Fast is taken from the book of Daniel when he decided to set himself apart by not eating the rich foods of the king and instead eat only vegetables, fruits, and water for 21 days. + It is not a diet. Although there are great health benefits, we don’t fast to lose weight, but to submit our bodies to the Spirit. + Fasting is always voluntary. If you don’t think you can follow the specifics of the Daniel Fast, then decide what you CAN fast for these 21 days. + Have a clear target as your prayer focus. Write down your vision. + Expect to hear God’s voice. + Prepare for opposition & press on. + If you fail, don’t give in to condemnation. Just start again. + Breakthroughs often come after a fast, not during it. Do not listen to the lie that nothing is happening. + All vegetables: These can be fresh, frozen, dried, juiced or canned. Vegetables include but are not limited to artichokes, asparagus, beets, broccoli, Brussels sprouts, cabbage, carrots, cauliflower, celery, chili peppers, collard greens, corn, cucumbers, eggplant, garlic, ginger root, kale, leeks, lettuce, mushrooms, mustard greens, okra, onions, parsley, potatoes, radishes, rutabagas, scallions, spinach, sprouts, squashes, sweet potatoes, tomatoes, turnips, watercress, yams, zucchini, veggie burgers are an option if you are not allergic to soy. + All whole grains: Including, but not limited to, whole wheat, brown rice, millet, quinoa, oats, barley, grits, whole wheat pasta, whole wheat tortillas, rice cakes and popcorn. + All nuts and seeds: Including, but not limited to, sunflower seeds, cashews, peanuts, sesame. Also nut butters including peanut butter. + All legumes: These can be canned or dried. Legumes include but are not limited to dried beans, pinto beans, split peas, lentils, black eyed peas, kidney beans, black beans, cannellini beans, white beans. + All quality oils: Including, but not limited to, olive, canola, grape seed, peanut, and sesame. + Beverages: 100% juices, spring water, distilled water or other pure waters. + Other: tofu, soy products, vinegar, seasonings, salt, herbs and spices. + All meat and animal products including but not limited to beef, lamb, pork, poultry, and fish. + All dairy products including but not limited to milk, cheese, cream, butter, and eggs. + All sweeteners and artificial sweeteners, including but not limited to, sugar, raw sugar, honey, syrups, molasses, and cane juice, Equal, Sweet and Low, and Splenda. + All leavened bread including Ezekiel Bread (it contains yeast and honey) and baked goods. + All refined and processed food products including, but not limited to, artificial flavorings, food additives, chemicals, white rice, white flour, and foods that contain artificial preservatives. + All deep fried foods including but not limited to potato chips, French fries, corn chips. + All solid fats including shortening, margarine, lard and foods high in fat. + Beverages including but not limited to coffee, tea, carbonated beverages, energy drinks, and alcohol. + If you have any health issues or dietary restrictions, please consult your doctor before fasting. + Addiction to caffeine or sugar is not a dietary restriction, and should not prevent you from fasting. This is the point! + Pregnant women should not fast from food, but maintain a balanced diet. + Children and Minors should not fast, except under supervision from their parents/guardians. + If you are unable to do the full Daniel Fast, consider fasting specific foods, or giving up something else, like television, movies, or internet, etc. Make it personal. We are thrilled to announce our special guest, Larry Ford, a Grammy award winning tenor who has committed his life to singing the good news of the Gospel of Jesus Christ. Larry’s music career began when he climbed up on a chair at five years old at his home church in Levelland, Texas. Accompanied by his mother on the piano, he sang his first solo, How Great Thou Art. Fifty years later Larry still sings How Great Thou Art. He has sung it in English, Spanish, Swedish, Russian, Italian and Norwegian. Larry’s music ministry has taken him to 49 states of the United States and to more than thirty foreign countries. 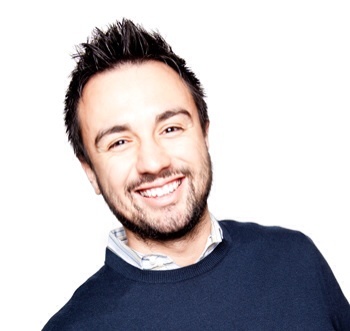 Larry’s training is in classical music, having studied privately as a teenager with an Italian vocal coach. He attended Eastern New Mexico University on a music scholarship. After working for two years as a pilot, Larry sang briefly with The Downings as a featured soloist. He sang tenor with the Dixie Echoes and The James Blackwood Quartet. In recent years many invitations have been extended as a result of Larry’s participation in the Gaither Homecoming videos and concerts. Larry has often been a featured soloist on the DVDs and has become closely associated with the songs, Little is Much When God is In It, Sing of My Redeemer, Follow Me and O What a Savior. Larry and his wife, Sherryl, have been married for over 40 years. They served as pastors at churches in Texas and Florida for ten years before Larry returned to full time music ministry. Larry and Sherryl have five sons, Matthew, Mark, Luke, Jon and Seth (and his wife Jennifer.) They also have a daughter and son in law, Amanda and Darius, and seven grandchildren. Larry’s brother, Bruce, is an internationally renowned operatic tenor and vocal coach. Bruce has been described as “the leading Rossini tenor of this generation.” Bruce, his wife, Hetty, and son, Patrick, live in Naples, Florida. Larry’s traveling schedule includes over 100 concerts a year. In spite of his rigorous schedule, Larry’s priorities are as a proud husband, father and grandfather. The Ford's church home is First Assembly of God in Fort Myers, Florida. Dan and Darlene Betzer are their pastors and friends. Larry has been a professional pilot, a pastor – and all of his life, a worshipper. Often when people hear Larry sing for the first time, they are overwhelmed by the power of his voice. Those who know him best know it is not only powerful, but an anointed gift for which he gives God all the glory. Be a part of this incredible worship service, Sunday, July 13th at 10:30 AM. Roberts Liardon Ministries reaches across generations, cultures and nations. His ministry's focus is raising up positive, like minded believers who are also dedicated to help reach a dying world for Jesus. Encouraging word of 'God's Generals' is unique, as it builds faith and encouragement. The supernatural and apostolic anointing and world wide preaching has touch literally millions! Hear Roberts Liardon speak Sunday, June 22nd at 10:30AM. We are excited to announce our upcoming Healing and Miracle Service with guest speaker and author, Joan Hunter, this Sunday, June 1st at 10:30 AM. Joan Hunter served in ministry alongside her parents, Charles and Frances Hunter, as they traveled around the globe ministering in Healing Schools, Miracle Services, and Healing Explosions. Prior to branching out into her own International Healing Ministry, Joan co-pastored a church for 18 years. She is a compassionate minister, dynamic teacher, accomplished author, and anointed healing evangelist who has devoted her life to carry a message of hope, deliverance, and healing to the nations. She is president and founder of Joan Hunter Ministries, Hearts4Him, and head of Hunter Ministries. Come prepared and ready for a miracle this Sunday as Joan joins us in faith for God's divine will to take place in our lives. Come join us as we celebrate Easter together! This is Holy Week. We focus our hearts on the cross of Christ and His empty tomb. Please join us as we celebrate who God is and what He has done! Jesus said ... 'I am the resurrection and the life. Whoever believes in Me, though he die, yet shall he live, and everyone who lives and believes in Me shall never die'" (John 11:25-26). Hear this powerful message of grace this Sunday at 10:30 AM. Immediately following our service, we will be holding our annual Easter Egg Hunt. This event is completely free and open to the public. Each egg holds a special prize or piece of candy. Be sure to invite your family and friends in celebration of this incredible day in history! Stand with us as we put on the armor of God in preparation for the spiritual battle. For the next eight weeks, Pastor Michael McKellar will be teaching us on how to equip ourselves with the armor of God. This Sunday at 10:30AM, join us in the battle and learn what it takes to stand up for your freedom. We are honored to be having Michael Rosas, youth evangelist and author, speak at our Sunday Morning Worship service, this Sunday at 10:30 AM. Mike lives his life completely in pursuit in changing this World, starting with his generation. Letting his love for God lead the way, Mike travels around America speaking to high school and college aged groups encouraging them to love God, chase their dreams, and change the World! Saved at the age of 5 and called to minister at the age of 6, Mike developed a debilitating speech impediment that same year. He had to go to a special school to learn how to speak, but not only did the classes not help, they caused him mental pain and depression from being made fun of and bullied. It was during this time that the Lord spoke to him and said that if he would trust HIM, HE would use him and speak through him around the world. With this calling etched on his heart, Mike grew up with one focus... changing the World. At the age of 21, Mike stepped into ministry and became a youth pastor. In 2008 Mike's opportunity came to go into full time ministry as an itinerant minister/Evangelist. The Lord has given Mike a great passion for this generation and their call to change the World for Jesus! In September of 2009 the Lord inspired him to study revolutionaries who have shaped the present world we live in. As he studied their stories the Lord began to highlight the giftings and callings they had that are mirrored in this generation. God began to show him how He has called this generation to do a spiritual revolution in the world. Mike coupled that information with an in-depth study of 1st & 2nd Timothy. He studied the methods Paul taught his protege, Timothy, during the Christian Revolution, and wrote a 40 day "How To" titled "Change the World: Becoming a Revolutionary". With the Lord's favor, the book has opened many doors to speak at youth and young adult group, conferences and festivals to spread the message of the Revolution. God has also blessed Mike with the opportunity to be an influence over the influencers of this generation by becoming a Chaplain of the Houston Rockets. Mike is now bent on Revolution at all costs! His sole desire and goal is for Revolution to come to the World and the Lost to be found by LOVE. Kick back and relax with your friends at Oasis. 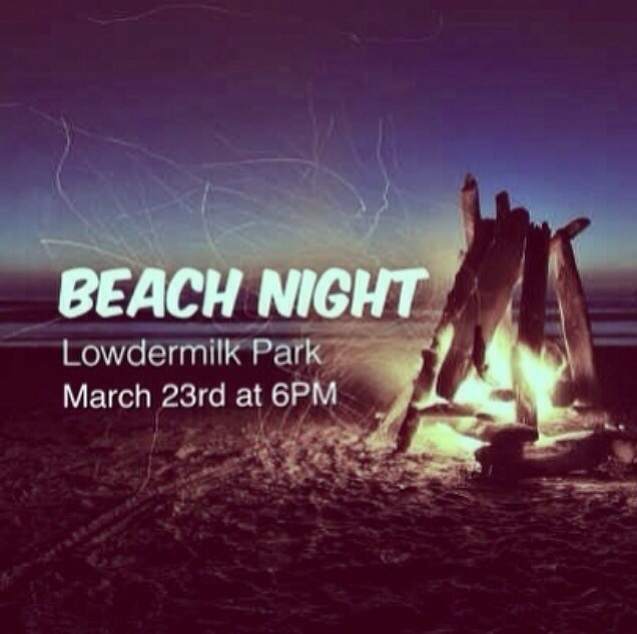 This month we will be holding a fun get together at Lowdermilk Park. Beach Night is a great time to meet and make new friends. This is a chance to meet and connect with the amazing people that make up our church. Join us March 23rd, Sunday night at 6PM. Hope to see you there! The foundation that every Christian builds their life upon is the word of God. They're looking for a foundation that no storm in life will prevail against---and a heart that's shaped and guided by the knowledge of God's Word. The book, "Know Him, Love Him," is designed to help new believers and longtime followers of Jesus stand firm and grow strong in the Christian life. Take the challenge to build the foundation of your life on the Word of God. Download and read, "Know Him, Love Him," by simply clicking on the link below. CBN.com – Don Piper was relieved when the pastor's conference he had been attending finished a little early that Wednesday in January 1989. Being associate pastor and having just been appointed minister of education at a Houston area church, Don was a busy man. The early start home would provide him much needed time to mentally organize his hectic schedule.